Old style large house with modern amenities, fairly quiet area with good neighbours Between two train stations, not far from shops Bedroom has built in wardrobes and double bed if needed. NBN connected to the property but no internet at this point as i get by hotspotting Rent and Bond could be negotiated depending on length of stay. 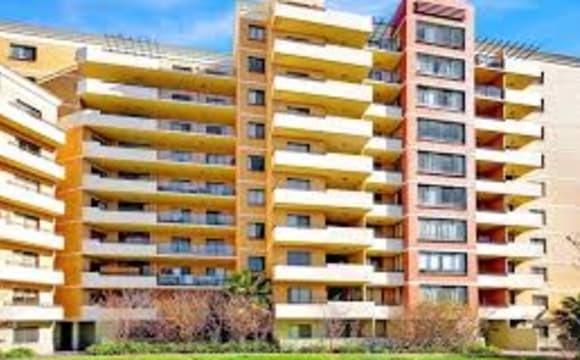 It is a duplex apartment with a spacious balcony. Separate room with good natural lighting and wardrobe. Bathroom attached to the room . 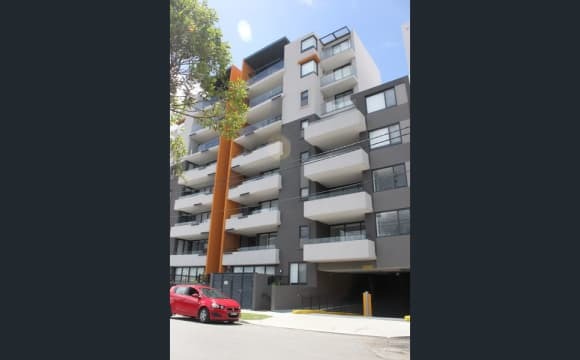 5 minutes walk to the homebush station, Aldi, ATM, IGA, shops and restaurants. 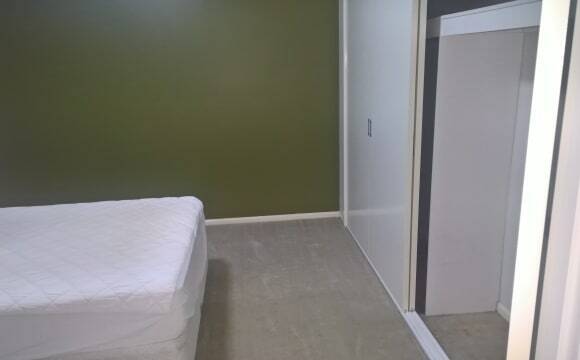 This spacious private room has a massive builtin. This quiet room situated middle of unit also comes with seperate dining area with quality floor board throughout with air conditioning. 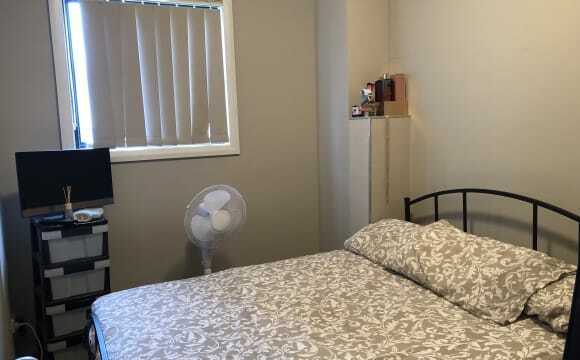 This clean and tidy unit is located just 7 minutes walk to strathfield train station (20 minutes to sydney CBD, 15 minutes to paramaatta CBD). Also close proximity to shopping. - kitchen with stone bench tops, glass splash back, gas cooking with stainless steel appliances with dishwasher - plenty of storage space. - Very quiet location. Rent $260 for whole room per week. 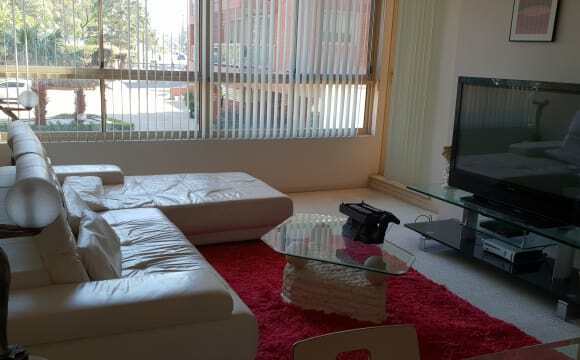 * Fully furnished incl Bed, Mattress. * Cleaning Services. 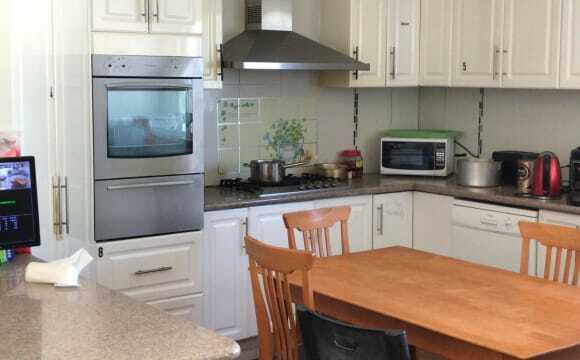 * Modern Kitchen and bathrooms ​* Fully equiped Laundry ​* 24-hour hot water ​* Free Wi-Fi with unlimited data * Electricity, Gas and Water charges are included in the rent. ​* Lounge with TV (vodafone TV is included) This quality unit does not lost for long, to inspect please call ASAP. Air conditioning. Clean. Very clean. Safe environment for girls especially students. I always respect others so you won’t have problem with me :) I also would appreciate if my room mate respect others! A brand new place, furnished and ready to move in. Netflix, unlimited wifi, all appliances, toiletries. The nice historical house has been renovated recently, which is located in a quite area in Homebush. 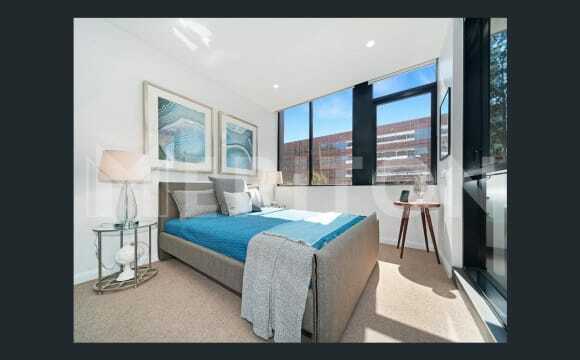 Nice environment: 5 minutes walking to DFO and Olympic park Convenient location: 9 minutes walking to North Strathfield railway station and 15 minutes to Homebush station. The bus stop is 1 minute away from the front door. M4, Parramatta Road, King George Road, Concord road are all in front of the house. It takes only 15 Minutes to Redfern by the train... Comfortable: The room is fully furnished. Electrical appliances are available. Unlimited ADSL2+, nice leafy backyard, easy front parking Cost: $195/week exclude bills If you a nice and quiet person, I am looking forward to meet you. 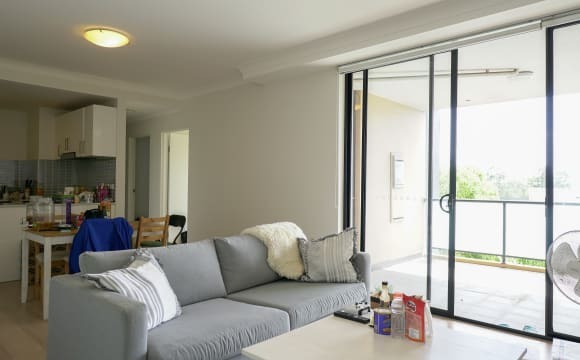 This new luxury 3 bedroom 2 bathroom apartment is located within minutes drive to Rhodes shopping centre, Strathfield Plaza, DFO, Costco and Sydney Olympic Park. It is also a short walk to Homebush and Flemington train stations for an easy commute to work in the morning. 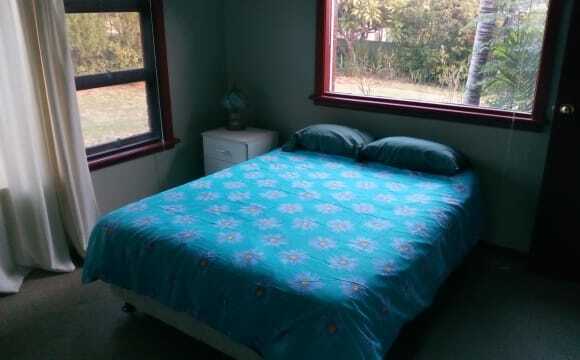 - ONE private bedroom available - A shared bathroom between 2 people only - $265 per WEEK - All utilities split between occupants - Fully furnished (All new furniture and appliances) - Bedroom can be furnished on request or BYO furniture - FREE NBN broadband and netflix - Security Car space (+$30/week) - Address: Smallwood Avenue, Homebush The room can accommodate an individual occupant only. In total, there will be 3 people living in the unit. Bond is the equivalent of 4 weeks rent. 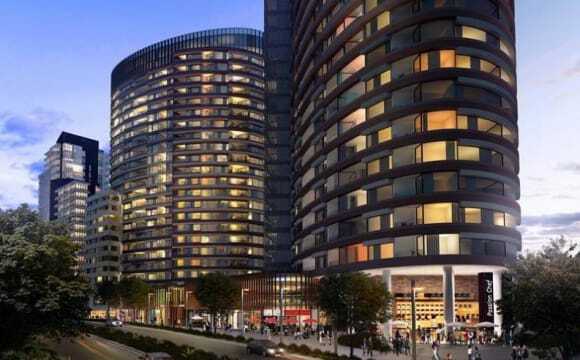 Ideally looking for working professionals interested in signing a long-term lease of 6 months. Short term (with possibility to extend) accommodation! With all the mod coms, in modern (Brand New) hotel Style accommodation. Yes, its as nice as in the pics :). Now available, single occupancy only. Huge balcony wrapping around the penthouse with your own little outdoor setting on your side. You can even see the Harbour bridge in the distance but clearly. 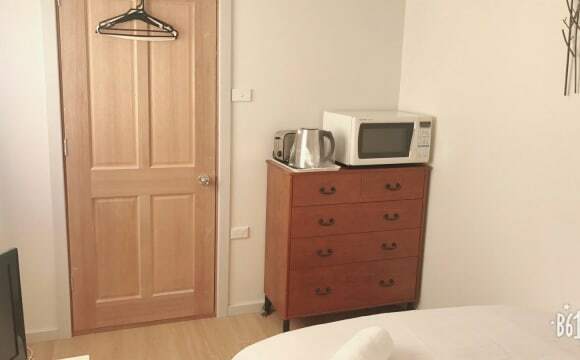 Bathroom is large and hotel Style - please note it will be shared when there is another housemate (x1) or a guest as it’s the main bathroom but I will clean in these instances. Gas cooking. Undercover parking available. Stunning (huge) Lap Pool and shared bbq areas and other facilities inc. gym. You're welcome to stay for 3 months and then we can see, but approx 4-6 weeks will have a $50 surcharge a week. Reverse cycle aircon/ heating. This location is the best part. 3-4 min walk to Homebush station, and 20mins on the train to city or Parramatta. 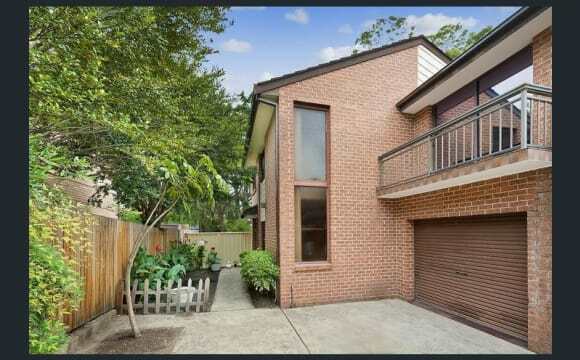 10mins walk to Strathfield station, which is a one stop express train to the city. Or 12 min walk to north Strathfield station (which has a direct line to Rhodes/ Concord). Local Mediterranean cafe district known as “Bakehouse Quarter” (a pub, great brunch spots, Mediterranean cafes, Japanese, Thai, Korean restaurants, komart, Aldi, the famous pancake on the rocks). It also has a fitness first, Pilates studios, balance yoga studio, groceries, 2 minutes walk. New bed, most of the cleaning of the apartment (except your room, and bathroom when it’s only you using it) included in rent until extended to long term. (Just chip in when you can). Send me a message letting me know a bit about you and what you are looking for, if interested! Looking for someone busy and likes their own personal space, but who is also friendly and up for a hello when we are both around. The townhouse has many features of modern living. There is gas cooking, off street car parking, air conditioning, unlimited internet, and security system. We also live with two cats. The room is very spacious for 3 people. 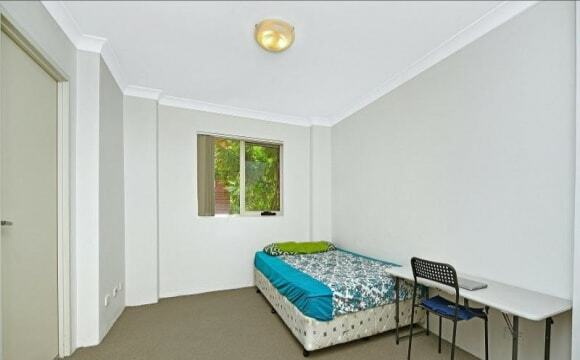 With single beds and study desks. 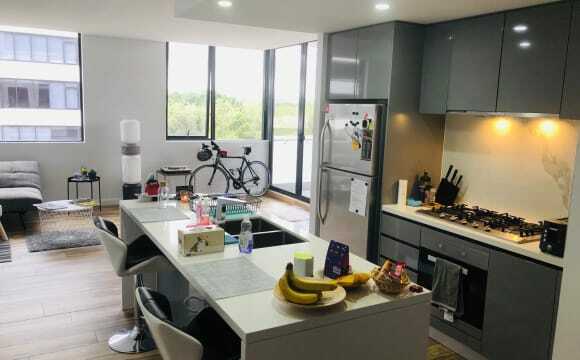 We are situated 15 minutes walk to the shops (IGA, Aldi, Komart, gyms, ten pin bowering, DFO) and Olympic Park which is awesome for a bike ride or jog in the afternoon. 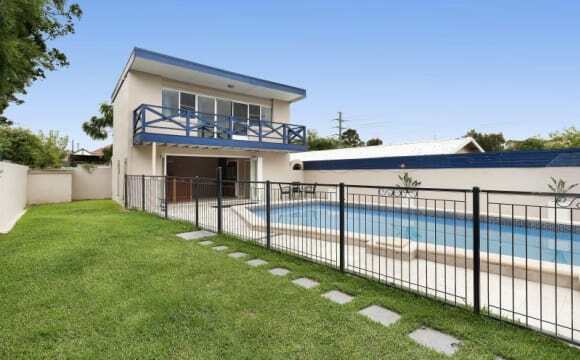 This is a 6 bedroom house located only 5 mins walk from Homebush Station and 3 minutes to supermarket and local shops. The bedroom: 1 single rooms available $200 Each room is furnished with Bed, desk, chair, wardrobe. Kitchen and toilet are shared. Water, electricity and NBN internet is included in the rent. 4 weeks bond +2 weeks rent in advanced 6 months minimum stay. 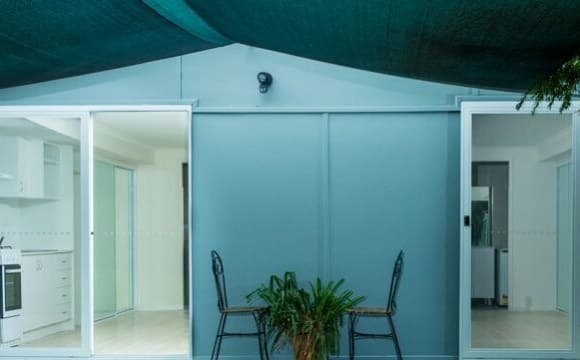 Hello, My current flatmate and I are looking for a third person to join us in our three bedroom open plan penthouse apartment next to Homebush Station. The apartment is stylish and modern with quality appliances and furniture set on two levels with city views. We are located 30 seconds walk from the station and minutes from shops. There is also an outdoor pool and gym. Being close to the station the apartment does experience some train noise. The apartment is great for entertaining with plenty of space and natural light, with great air flow throughout. There is a wrap around balcony on the top floor to chase the sun all day. The available room is approx 3.0 x 3.1m in size, has a walk in wardrobe, balcony access and comes with a secure underground car spot. Room will be $250 or $270 (bills included). You will be sharing the flat with two other mid to late 20 year olds. Looking for a male or female working/studying full time who has experience in shared living. The room is available from May 11th but we can be flexible with the move in date for the right person. Thanks for reading - Please let me know a bit about yourself in the first message. 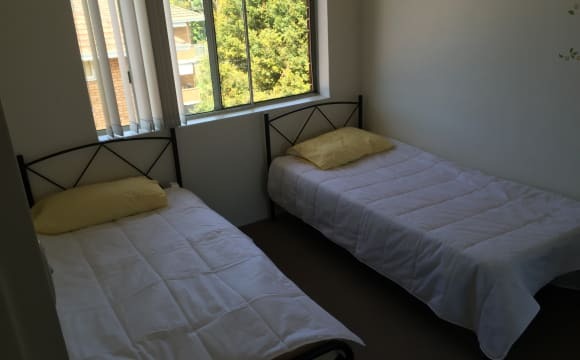 Hi, Newly furnished shared accommodation available just in front of Homebush station. It is a 2 bedroom, 2 bath room house with build in wardrobes . It is fully furnished with bed ,mattress and bedside tables . 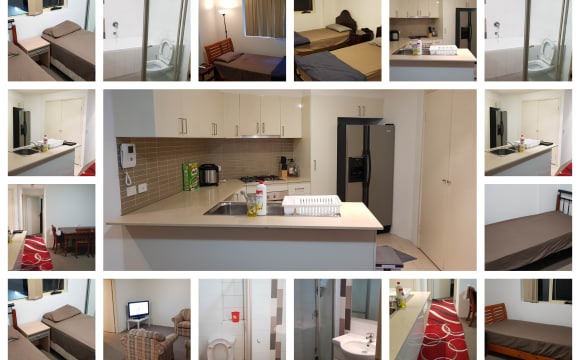 This Consists of Refrigerator,Washing machine,Dryer, Dining table with chairs,Individual beds, Mattress,Bed side tables ,Unlimited Wifi, all kitchen Items including plates and all utensils ,Microwave, Sofa, TV, Hotwater etc . All utility bills are included in rent. 1 min walk from Homebush train station. Walk-able distance to Aldi, Fitness first and Woolworth's, Indian markets and restaurants. Hope to serve you and make your stay at our accommodation delightful. 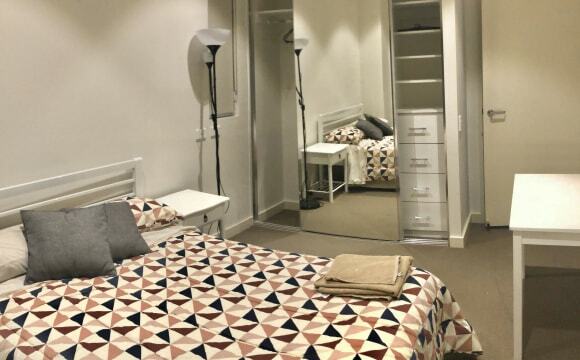 Hi, We have private room accommodation available In a fully furnished 3 bedroom, 2 bathroom house with build-in wardrobes available ,1 min walkable distance to the station. There are some 25 shops with a good mix of businesses including a community bank takeaway shops supermarkets, butchers ,green grocer and variety of cafes and restaurants including Italian, Asian, Sri Lankan and Indian cuisine. 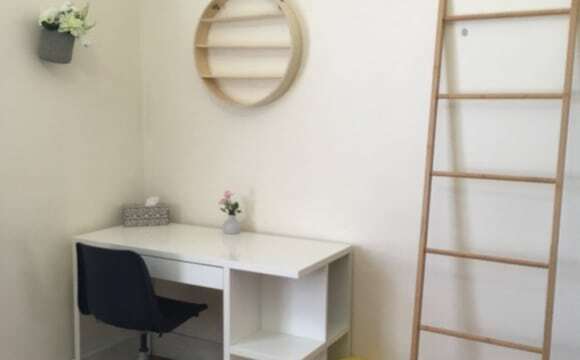 Huge modern state of art Strathfield library is located around corner in Rochester street It is fully furnished with bed, mattress and bedside tables . 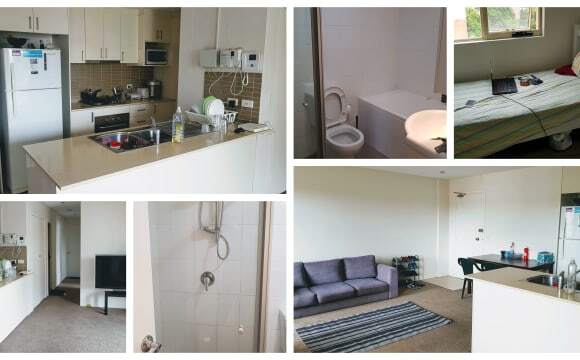 This Consists of Air condition, Refrigerator, Washing machine, dryer, dining table with chairs, Individual Beds, Mattress, unlimited WiFi, all kitchen Items including plates and all utensils, Microwave, Sofa, TV, Hot water etc. It is very close to train station and supermarkets. A couple of Indian stores in a just walk-able distance. ALL bills included but please note no kitchen available but appliances such as microwave, toaster and water kettle etc are available. The kitchen will be finished soon. 10 mins walk to station 5 mins drive to Olympic park 5 mins drive to Woolworths, Bunnings , Costco ********* PRIME LOCATION 10 mins WALK to Flemington railway station 2 mins WALK to Flemington market 3 mins DRIVE to Olympic park, 3 mins DRIVE to Costco, Woolworths lidcombe shopping centre, bunnings Furniture including single bed, chest draw, tv unit and bedside, own microwave, Laundry washing machine Big backyard with big shed for storage Available NOW Including all bills. Electricity, gas, water, and internet. 2 minute walk from North Strathfield Station 5 minute walk to cafes, gym, IGA and Aldi Quiet street and peaceful location. 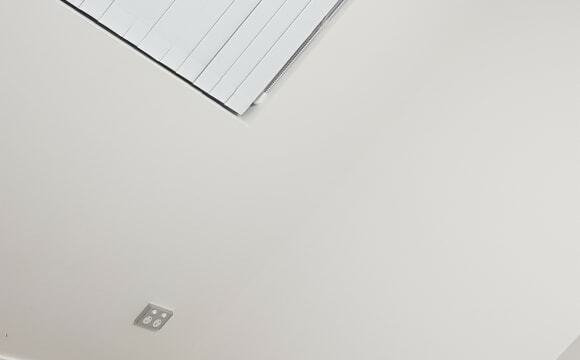 Suitable for professionals and students. Own furnished larged bedroom. Shared bathroom with one other person. Shared kitchen with 3 other clean students/ professionals. 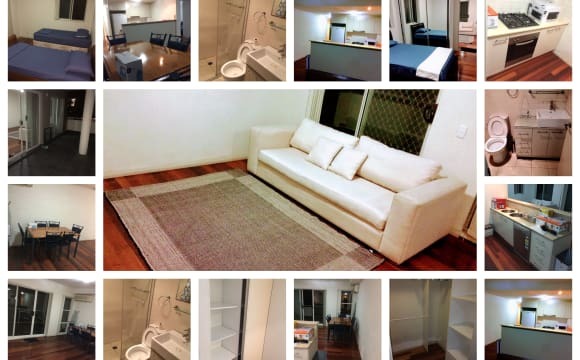 2 available bedrooms in a 3 beds apartment to rent in homebush west, rent is inclusive of all bills and free unlimited wifi. AVAILABLE FOR SHORT STAY..FROM NOW TO SECOND WEEK OF JULY. 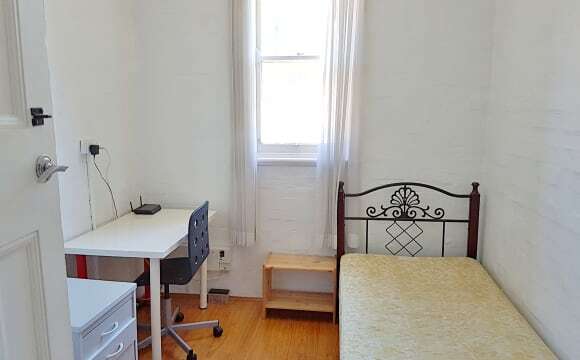 10 minutes walk to flemington train station. There is free gym,swimming pool and tennis court if you like to use them.rent is paid weekly. COUPLES can be considered but have to discuss it. 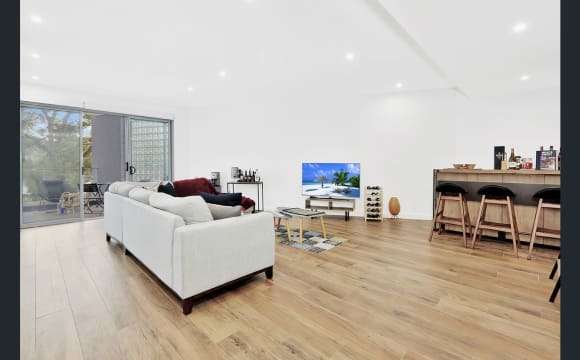 This spacious two bedroom flat is situated in Homebush West. It is very close to Rhodes shopping centre (approximately 5 minute drive) and about a 10-15 minute drive away from Top Ryde shopping mall. It is also a 10 minute walk to Flemington train station, or less than 5 minute drive - super convenient for getting into the city. Netflix is included. The kitchen has a gas stove top, and there is a balcony overlooking the street.